Update: Mozilla has now fixed the issue with PowerPoint Online and has resumed the rollout of Firefox 66.02. According to a bug report, Office 365 owners who have Firefox 66 installed will not be able to add text to text boxes on the online version. This applies to users on both Windows and Mac. That’s a pretty annoying bug, and it’s meant that Mozilla is pausing the rollout for all users – even those who don’t use PowerPoint Online. It’s not currently known if the bug affects other Office 365 tools. Mozilla is working on a fix right now, with it testing a potential fix on its Firefox Nightly builds. 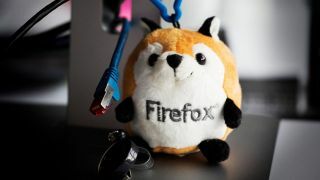 Once the fix has been tested and is confirmed to work, Mozilla may use its Normandy remote preference update system to send the fix to its users, and then resume the rollout of Firefox 66.